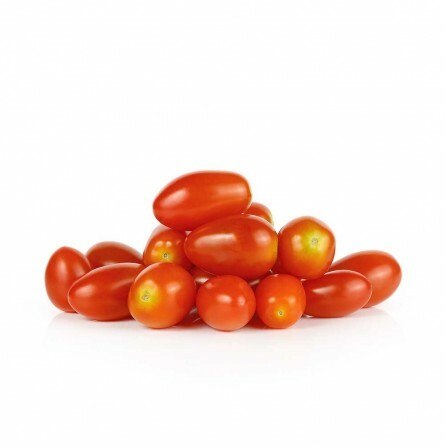 FruttaWeb: organic Mini plum tomatoes at your home with one click! 37Mini Plum Tomato, tasty and of aromatic, very intense flavour. The Mini Plum Tomato is a little sized variety with an elongated shape. 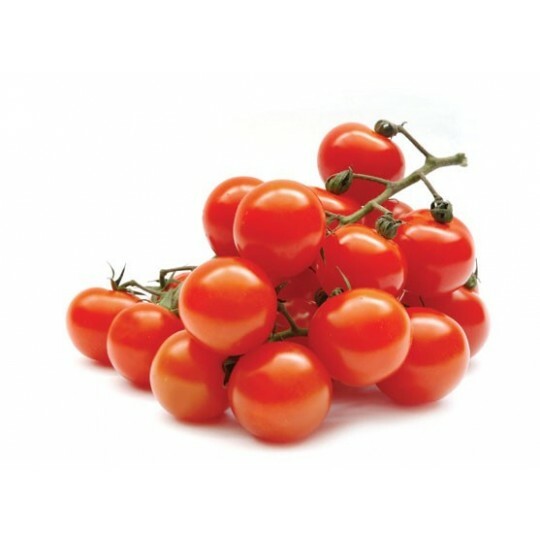 Each bunch of mini plum tomato has a herringbone shape. It has a sugary level more elevated than the other kinds of tomato and can reach 12° Brix; this makes it particularly tasty and from an aromatic and very intense flavour. The Mini Plum Tomato has plenty of mineral salts, vitamins A and C with a corrective and refreshing action on all the cells of our organism. The Mini Plum Tomato, alone or with other vegetables and flavourings, is good for the preparation of slices of bread toasted and seasoned with garlic, olive oil and salt, salads, appetizers, first courses and tempting dips for second courses. The history of the mini plum tomato happens to be a little nebulous: it’s about Asian crosses. Well known in the English market, it has also been included in the Italian market for a few years with a strong approval from the public. Its commercial success is principally due to its precise taste, the consistence of the pulp and its prolonged shelf life. Generally, the plant of tomato, Solanum Lycopersicon, according to some authors it’s Lycopersicon esculentum, is a creeping plant. In our climates, the plot cultivation can cause the berries’ deterioration, because of this it’s usually necessary the installation of supports. All the green parts of the plant are toxic, as they contain solanine, a glycoalkaloid that isn’t eliminated not even by the normal processes of cooking; for this reason, the trunk and the leaves aren’t used for alimentary purposes. Notwithstanding that the red cultivations are the only ones present on commerce, the tomato’s berries can assume different colorations. It starts from the white cultivations to the yellow, pink, orange, green ones and also at full ripening, even violet. ... Some people say the tomato has aphrodisiac properties, and that would be the reason why the French people anciently defined it “pomme d’amour”, or apple of love? This root is also present in Italy: in some towns of the inside of Sicily, it’s indicated with the name “puma-d’amùri” (apple of love)? It is said, moreover, that after its introduction in Europe, sir Walter Raleigh would donate this little plant full of its fruits to the Queen Elizabeth, baptizing them by the name “apples of love”? ... In the beginning it thought that it was a poisonous plant as it resembled the morel Solanium nigrum? ... After potatoes, tomatoes are the most cultivated vegetable on earth? Its production reaches in tonnes the 18% of the worldwide vegetables’ one. Buono, molto dolce, maturo al punto giusto.